All of our themes and plugins are translation ready and you can translate them to any language you want. Step 1: Download and install the Loco Translate plugin. Step 2: Go to Admin panel > Loco > Home and chose either the plugin or theme for translation. Step 3: Chose your language through “New Language” and save the setting. Step 4: From the list of the strings, chose one and begin translating. 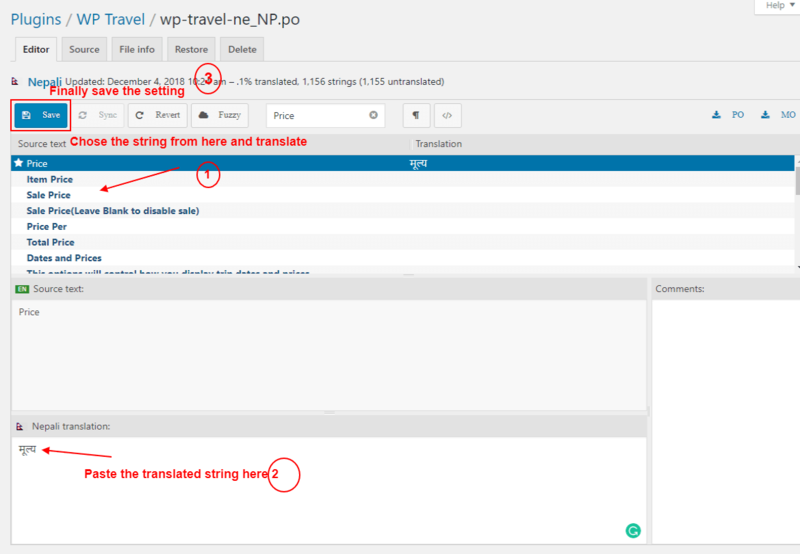 Paste the translated string in the box below and save the setting. Step 5: Finally go to Admin panel > Settings > General > Site Language and set your language. 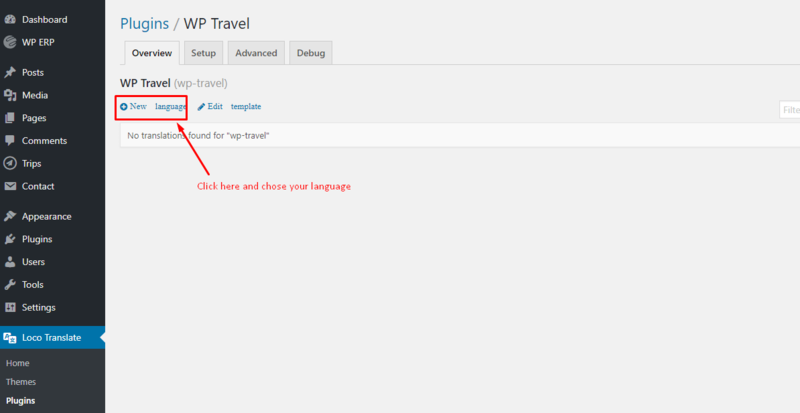 How to contribute to WP travel translation?